The Royal family was out in force at the Remembrance Sunday service at the Cenotaph in London yesterday. Prince Charles led the nation in honouring the country’s dead soldiers, and he was joined by sons Prince William and Prince Harry after they missed the festival of Remembrance to watch some rugby. But it’s Harry, 33, who has stolen the headlines after he was criticised for not being clean shaven at the event. Prince Harry might have left military service two years ago to concentrate on official Royal duties and charity work, but he wore the Blues and Royals officer uniform to attend the memorial. However, the British Army forbids all facial hair, so many people were shocked to see him sporting a full beard which they believe does not comply with regulations. Officially, the British Army only allows a soldier or officer to grow a beard if they have a skin complaint or are a practising Sikh. However, fans of Prince Harry took to social media to defend him against criticism, saying there are much larger issues to deal with in the world than a bit of facial hair. Prince William and the Prince Charles were clean shaven for the service, which is seen as one of the most important dates in the Royal diary. 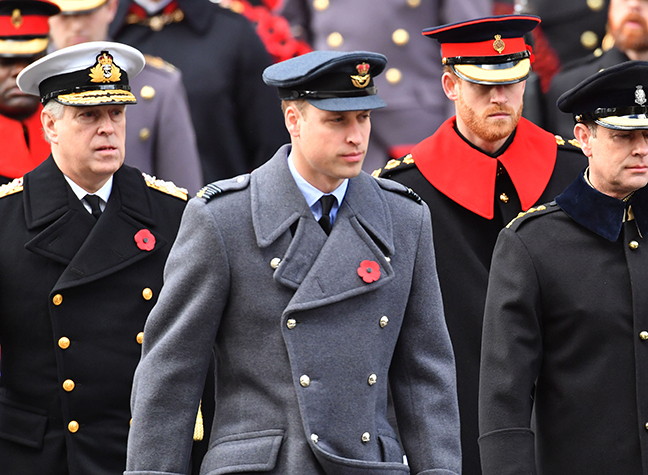 But while Harry’s beard might be unprecedented, a spokesman for the Ministry of Defence said it doesn’t actually break military protocol – and he’s not actually the first Royal to do so.